We've been busy so far this summer! We started out visiting the beach and boardwalk but then we decided to try some of our local attractions which can be just as great! 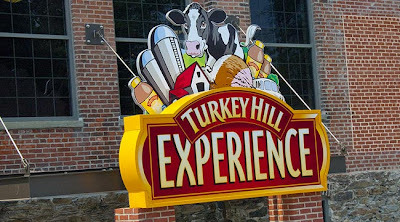 There is a new fun place for families... called The Turkey Hill Experience. You get to learn the history behind a family owned business.... the Turkey Hill dairy, how ice cream is made, how milk used to be delivered, and their famous iced tea. 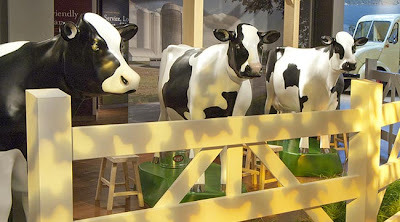 They have all kinds of hands on exhibits...here you get to milk a cow! Our favorite part was where they handed out a free ice cream. I tried a flavor that was new to me called "Chocolate Tastycake " or something like that. Oh boy. Good thing it was a small sample. 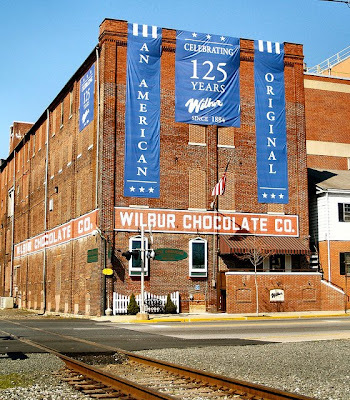 Then recently I took Dear Bebe and my Mother over to a quaint old fashioned town, home to the Wilbur Chocolate company. We saw the ladies making chocolate specialties...made to order for birthdays and other special occasions. 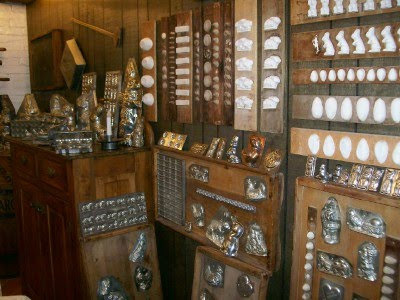 They have an awesome "museum" inside with vintage molds on display, candy containers, and a very large chocolate pot collection. 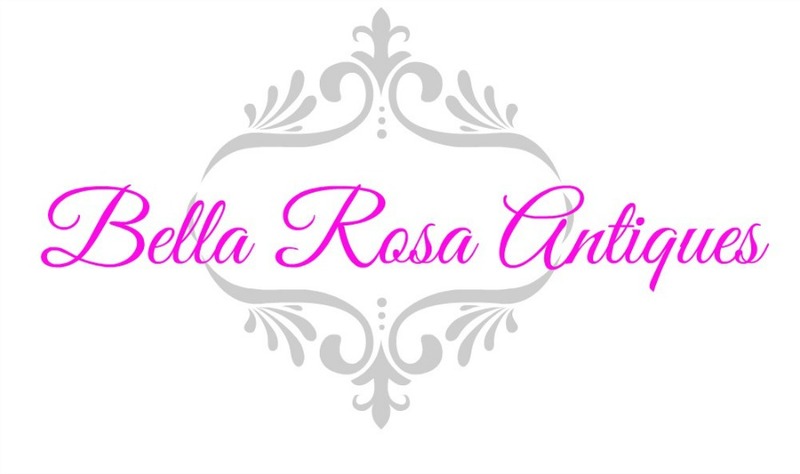 I wouldn't mind having some of them to sell in my Bella Rosa shop! Gorgeous! These are my favorite. 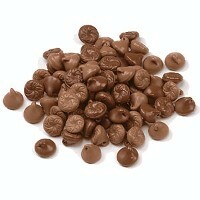 It is their version of a chocolate kiss... called WILBUR BUDS. So smooth and creamy. Highly recommend them. 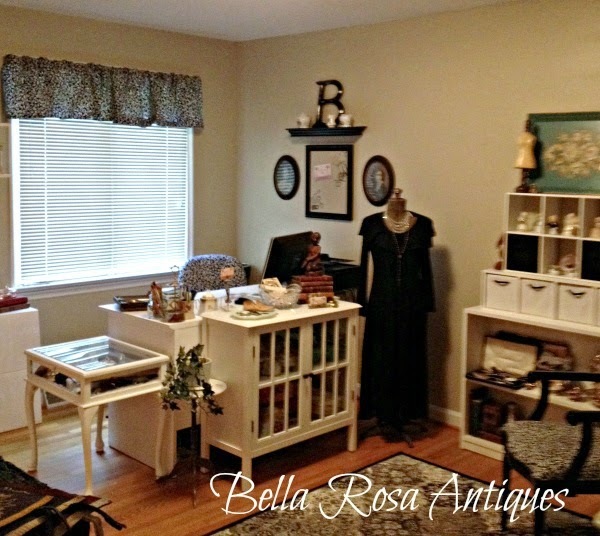 I also found a wonderful antique shop along the main shopping avenue called The Curiosity Shoppe. I adored it. (Was in a rush when heading out of the house today and forgot the camera! )Made a few purchases which I will of course, be listing next week. Enjoy the summer, it is my favorite time of year! 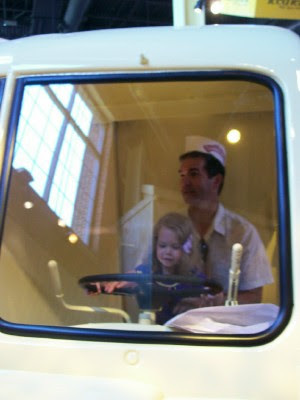 Great blog on our trip to the chocolate factory and museum. Next time maybe we can spend more time shopping! HA! Loved all the quaint shops.